Isododecane, Polyethylene, Methyl Trimethicone, Barium Sulphate, Hydrogenated Polyisobutene, Beeswax, Mica, Phenoxyethanol & Propylene Carbonate. 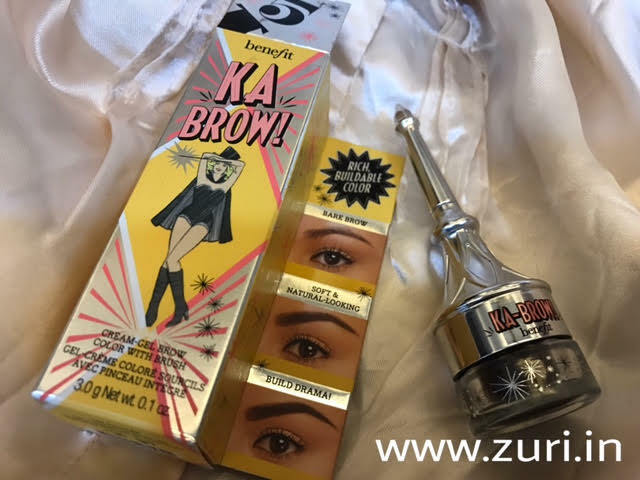 Benefit Cosmetics’ ka-BROW! 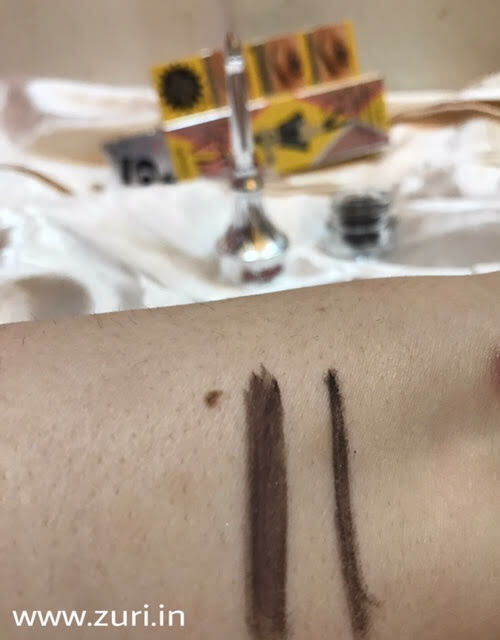 eyebrow cream-gel color (Rs. 2,010/- for 3g/0.1oz) helps put all your false-looking drawn-on eyebrows fears to rest with this beauty! 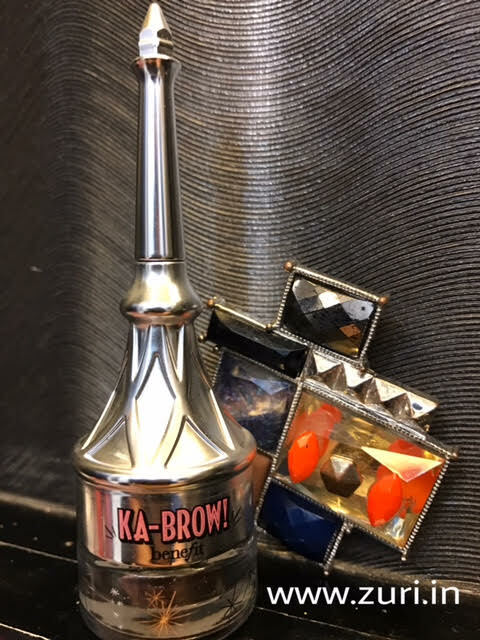 For all you, eyebrows-on-fleek obsessed ladies, this a must-buy product. It does a great job of accentuating the shape, color and density of my eyebrows – from a neatly done to bold look, it can totally give you versatile looks based on how much you apply. The texture of the gel is extremely waxy, smooth, buttery and pigmented. It has the power to instantly give your eyes and face a lift. Its staying power is for almost 18-20 hours. Its custom built-in brush does a fine job of applying small strokes all over the eyebrows to add natural-looking hairs to your eyebrows. I love how chiseled (but still natural) my brows look after using it. It lets you make your eyebrows light to strong, depending upon its application. The product is very pigmented and creamy. Gives instantly intensified and polished look. It has a long-wearing and waterproof formula, which will pretty much last all day long. The attached brush is finely angled and is very easy to use. This product takes time to apply. Like it doesn’t have the ease of an eyebrow pencil. You need to be really specific when it comes to how much and how well you apply this product. Using an eyebrow brush, start by brushing your eyebrows in an upward direction. 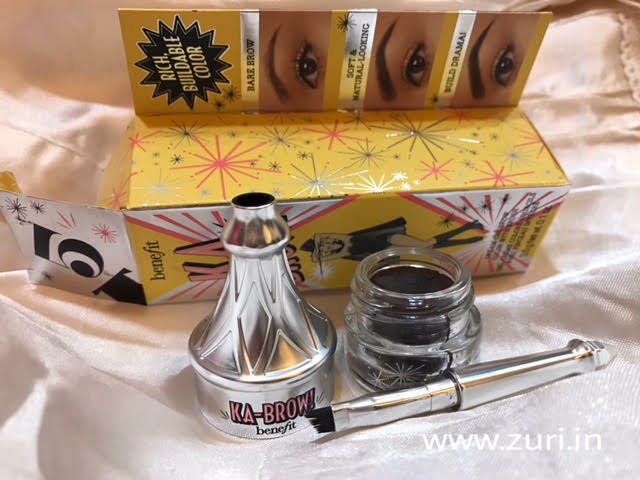 Now, fill in the eyebrows with ka-BROW’s eyebrow cream-gel color. Always make it a point to line the front of your eyebrows in upwards stroke first, and then the rest of the 3/4th section in slightly titled upward stroke for natural-looking brows. Never, ever drag back and forth!